We read in the scriptures about people going to a quiet place to pray. In the Gospels, Jesus often goes to the wilderness, to a "deserted place," a "lonely place," or a garden. A Quiet Day is a simply a morning or day-long time dedicated to a particular topic, usually including prayer, spoken reflections by a leader, and some quiet time to be alone with one's thoughts, or simply slow down. A Retreat is usually a weekend or longer. Depending on the church schedule and the rhythm of life around the parish, Holy Trinity usually offers a Quiet Day during the Season of Lent (leading up to Easter) and/or a Quiet Day during the Season of Advent (the season of preparation before Christmas). In addition to joining Holy Trinity for one of our events, you may also wish to plan your own retreat or "spiritual getaway." A few locations nearby are listed below. An Episcopal order of men in Cambridge, MA, on the Charles River, near the Kennedy School of Government. Cursillo is a Spanish word meaning "short course," and is the name of a movement of Christian renewal founded in Majorca, Spain in 1944. Episcopal Cursillo begins with a spirit-filled weekend aimed at exploring ways of realizing the love of Christ more powerfully where we live, work and play. The initial weekend experience is then followed up by opportunities for on-going growth, nurture, and service. 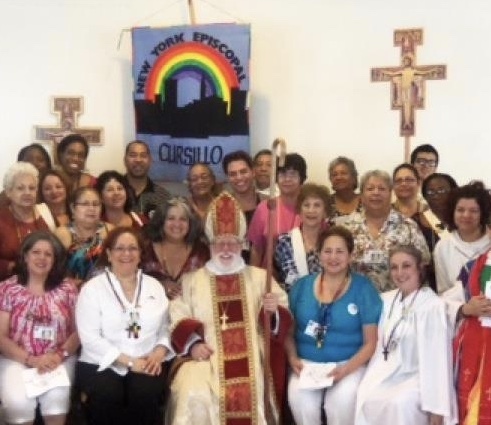 Learn more about Episcopal Cursillo and how to attend a weekend here. A number of Holy Trinity parishioners are involved in Cursillo and would be more than happy to tell you more and invite you to a weekend experience. In 1205, Francis of Assisi was called by God to rebuild the Church. Early in his ministry, Francis recognized the need to include people from all walks of life within his movement of reform and renewal. The work of following Christ in humility, love and joy, which is the vocation of all Christians, could not be restricted to the traditional life of the Friars and Sisters. This was true in the thirteenth century and it remains so today. The Third Order of the Society of St. Francis is an Anglican/Episcopal religious order for people of all kinds — single and in committed relationships, lay and ordained—who live by Franciscan principles “in the world.” The rector of Holy Trinity and a parishioner are Third Order Franciscans. You can learn more about them here.